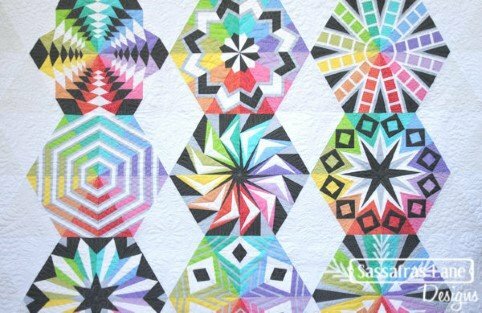 This is a paper piecing block of the month club. Each month you will learn the method to paper piece each block. Carol teaches paper piecing using freezer paper. The biggest benefit for using the freezer paper is you don?t have to tear off the paper after making each section. This makes it a quicker method. With the angles in this pattern it is tricky to construct these octagons. Carol will teach you how to stitch them and make this magnificent quilt.